Here we sit on the eve before All Hallows Eve. When I was younger and living in Toronto, this evening was for planning the optimum candy collecting route. Oh, and fine tuning that costume of the hobo or businessman. I could use the same old suit coat of dad’s and depending which I was I would need a stick with a handkerchief tied to the end or a briefcase. I liked being a hobo more. When I moved to Calgary there were a few differences in how Halloween was carried out. 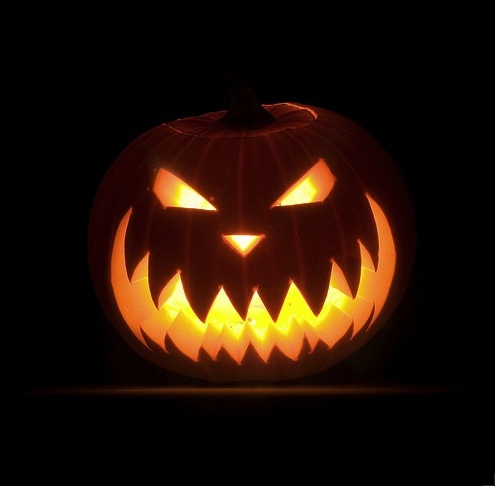 The night before Halloween is/was referred to as “All Devils Eve”. This was the night when teenaged trouble makers would go out and tip over out houses, empty the garbage cans, soap car windows, toilet paper the neighbourhood trees and throw eggs at the houses of people who needed it. In Toronto, we combined the two activities into one night, and to tell the truth collecting the candy was far more important than causing trouble. We had our priorities right and didn’t risk getting in trouble and possibly grounded on one of the more important nights of a kid’s year. We looked forward to the first Halloween in our new city. We were adults in a new apartment and we spent a small fortune on candy to hand out to the cutest ghosts and goblins we had ever seen. In Toronto when a kid came up to the door he/she would shout out “TRICK OR TREAT”. Some people would make the kids do a trick of some kind, but I thought that a little cruel. Kids don’t want to interact with you, every second they spend talking to you is a second less spent candy collecting. That first Halloween in the prairies the kids came to the door and cried “HALLOWEEN APPLES!” What the hell did that mean? I understood that I was supposed to give them candy, and I did, but what was with the apple thing? Neither Louise nor I figured it out. Well, she may have but didn’t share it with me. I just chalked it up to a history of poor farmers that couldn’t afford candy and gave out apples instead. If all they gave out on Halloween was apples, I don’t know why anyone would go out a second year. Anyways, I make sure that the gates are locked up, the exterior lights are on and my car is safely parked in the garage. The dog has free run of the back yard and hopefully, the locks, lights and barks will encourage the little bastards to go next door to make trouble.